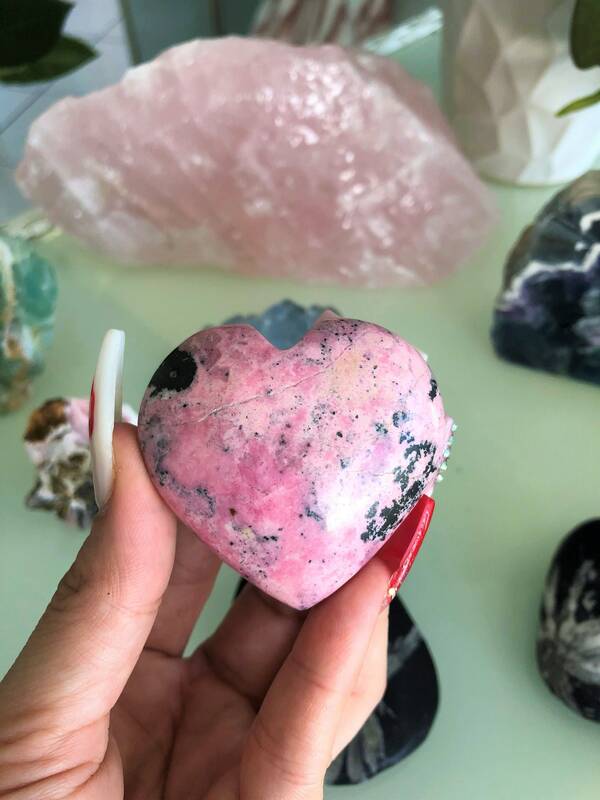 Receive this unique pink and black spotted Rhodonite crystal Heart. 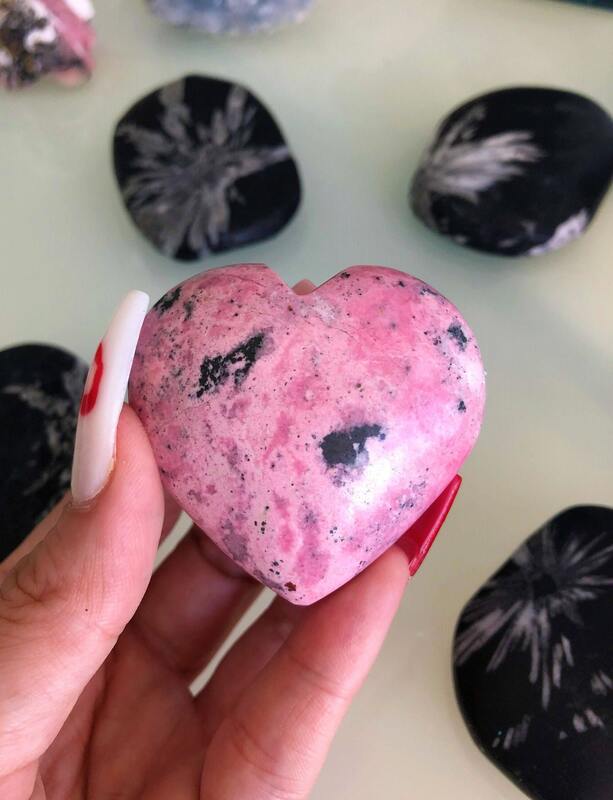 Rhodonite is a stone of compassion, grace and elegance. It stimulates, clears and activates the heart chakra and opens one to love. 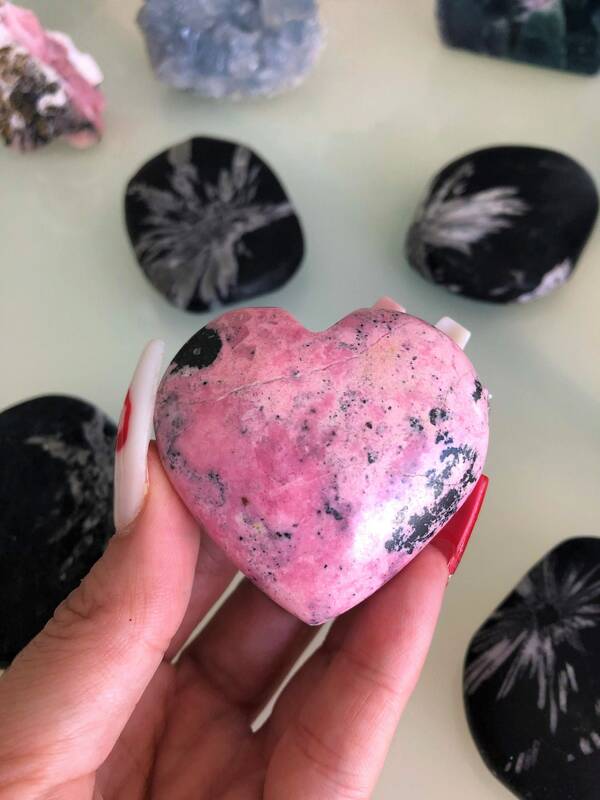 Rhodonite promotes inner growth and helps one to attract love and achieve self-love. 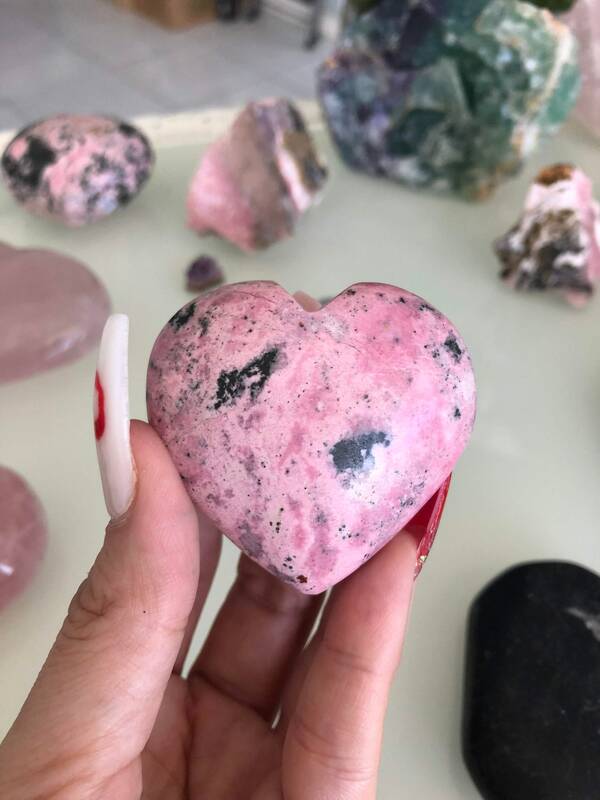 Listing includes 1 Gemstone Heart. The same heart seen in the images. Beautiful 😍 thank you for a super fast shipping!